A report by Ars Technica noted that jumbo sized 6 inch Nexus 6 (code name "Shamu") was first rumored to include a fingerprint sensor in July. By late August, Google's Android source had removed "fingerprint support," with references to Synaptics, the touchscreen maker that acquired fingerprint sensor maker Validity Sensors shortly after Apple began selling iPhone 5s with Touch ID. 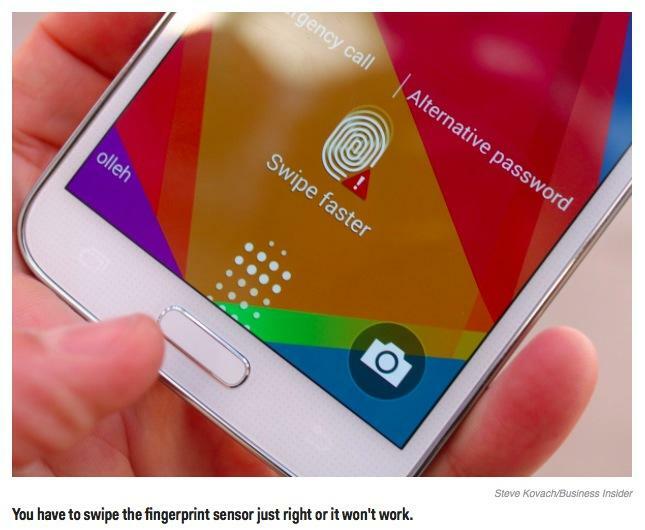 Samsung uses Synaptic's Validity sensors in its Galaxy S5 and Note 4 products, but their sensors require users to swipe their fingers over the sensor at a fixed rate, or the scan will fail. Ed Baig of USA Today wrote that Samsung's "fingerprint scanner doesn't work as well as the similar feature Apple has on the iPhone 5s." Google and Motorola appear to have both been using the same sensor vendor, and also the same style of sensor; the code commits reference methods named "FINGERPRINT_ACQUIRED_TOO_SLOW," which Ars said "suggest it supported a 'swipe' style fingerprint reader, which, unlike Apple's stationary fingerprint reader, requires the finger to be moved across a sensor at the right speed." 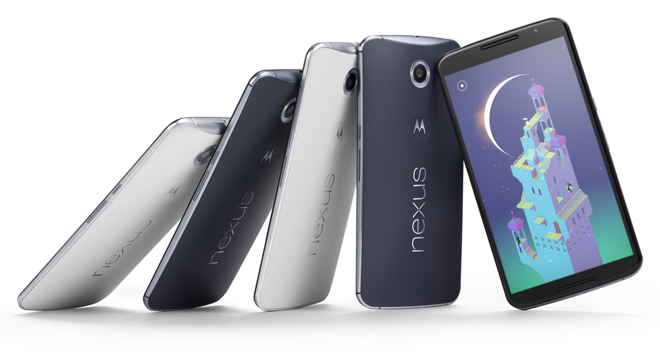 The site added that "the hardware on the Nexus 6 was going to be a launch point for a whole fingerprint API in Android," and that Android 5.0 Lollipop code comments referenced "a service to manage multiple clients that want to access the fingerprint HAL API," implying a Hardware Abstraction Layer architecture for enabling multiple apps to work with any available sensor that might appear on an Android device. The site speculated that the work might later materialize in "6-12 months," similar to how a new camera API that was expected to appear in last year's Android 4.4 KitKat later showed up in Android 5.0. The inability of Google and Motorola to successfully incorporate a competitive fingerprint sensor into their latest flagship smartphone highlights the value of Apple's 2012 acquisition of AuthenTec, which had developed an advanced new sensor that nobody in the industry apart from Apple seemed to be interested in, due to its component cost. 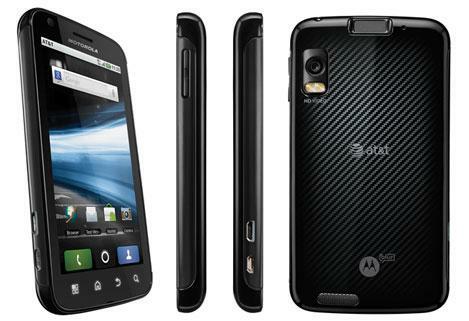 In early 2011, Google and Motorola had previously worked on the development of the Motorola Atrix phone (above) that debuted Android 2.3 Gingerbread, with support for an earlier AuthenTec fingerprint sensor. However, that solution never caught on and was abandoned in subsequent Motorola phones. That failure was in part related AuthenTec's less sophisticated sensor, but Motorola also had to roll its own support for the sensor, complicating Atrix users' ability to obtain Android updates. Google's Android also lacked any specialized security for protecting fingerprint data. The necessity of developing sophisticated security architecture between apps and users' fingerprint data was highlighted in 2012, when notebook fingerprint sensor vendor UPEK was found to insecurely store user's Windows login passwords in the Registry. Apple's release of Touch ID hardware was accompanied not only by basic software support in iOS 7, but also a sophisticated new security architecture that integrated into the A7 Application Processor, using its silicon Secure Enclave to lock away biometric data access from hackers or rogue malware-infected apps. Third party apps are not even allowed to directly access the sensor. A year later, Apple expanded Touch ID to its iPads and released Apple Pay with fingerprint authentication. iOS 8 also enabled apps to request that the system verify the user's fingerprint on their behalf. Major U.S. Banks have been incessantly promoting the fingerprint transaction feature of Apple Pay on iPhone 6 in their TV advertising and on ATM screens. Google's inability to deliver a fingerprint API usable by its licensees, Motorola's inability to produce an acceptable hardware prototype and Samsung's shipment of a flawed to the point of not being usable fingerprint technology have called into question the ability of Android as an open source project to enable a broad array of companies to competently replicate the design work Apple is pioneering. Android partners are also still struggling to deliver the first 64-bit Application Processors, which range from the disappointing performance of Nvidia's tablet niche Tegra K1 to the delayed debut of Qualcomm's Snapdragon 810.